The Federal Communications Commission will not back down from its proposal no matter what. Ajit Pai is of the opinion that the Federal Trade Commission would protect end consumers. Of course, it is another fact that the Federal Trade Commission could eventually lose its remaining regulatory authority. There is no one who can stop the Federal Communications Commission from moving ahead and voting to kill all net neutrality rules. That will happen sometime next week. And the Federal Communications Commission will do so despite the fact that there is an unresolved court case. That unresolved court case could potentially strip consumers from even more protections. But what about Ajit Pai? Well, if Ajit’s proposal is anything to go by then it is clear what he thinks of the Federal Communications Commission moving to eliminate net neutrality rules. Recently The Federal Communications Commission’s Chairman Ajit Pai told the media that no one needed net neutrality rules. Because consumers already had loads of protection. From the likes of the Federal Trade Commission. The Federal Trade Commission indeed has the authority to protect consumers for all broadband internet service providers. And some of their malpractices. A pending and unresolved court case that involves AT&T could potentially take away some powers from the Federal Trade Commission. That would mean that the Federal Trade Commission would no longer have its regulatory authority. And hence it wouldn’t be able to protect consumers from the likes of AT&T and other internet service providers. That is the reason why a couple of dozen of consumer advocacy groups along with the City of New York called on Ajit Pai to delay if not stop the net neutrality-killing vote. They wrote a letter to the chairman of the FCC (an independent agency) to urge Ajit Pai. The letter clearly stated that if the FCC (an independent agency) did eliminate its net neutrality rules and the court case goes in favor of AT&T then that would cause a regulatory gap. That regulatory gap who expose consumers to all sorts of malpractices on behalf of internet service providers such as AT&T. Ars Technica contacted Ajit Pai’s office for a comment on this statement. The office responded to the letter by saying that they saw the letter as evidence that net neutrality supporters who actually supported heavy-handed internet regulations had become more desperate. Moreover, they were becoming more and more desperate by the day. AT&T vs FTC case will have a huge impact on consumer protections in the US. According to Ajit Pai’s office, they had become more desperate because they had seen their efforts to defeat Chairman Ajit Pai’s plan which would restore internet freedom had come to a stall. Ajit Pai’s office also said that they had no doubts that the vote would proceed as planned and scheduled on 14th of December. Consumer advocacy groups such as Public Knowledge have not received Ajit Pai’s response well. In other words, they have found the response as unsatisfactory. Harold Feld, the Senior Vice President of Public Knowledge, told Ars Technica that forty organizations had asked the FCC (an independent agency) the question of why. Why the FCC (an independent agency) does not proceed forward by doing the prudent thing. What is that prudent thing? ‘The prudent thing, according to Harold, is for the FCC (an independent agency) to wait until the big cloud over the Federal Trade Commission jurisdiction has been resolved. This, according to Harold, clearly shows that the FCC (an independent agency) is actually not relying on the Federal Trade Commission to protect consumers. He also said that he saw nothing in the Federal Communications Commission’s official response. He saw the response as name-calling. Harold also added that the Federal Communications Commission’s response told anyone interested in finding out who was fear mongering. The Federal Communications Commission’s response also made it clear who had the interests of the end consumers at heart. 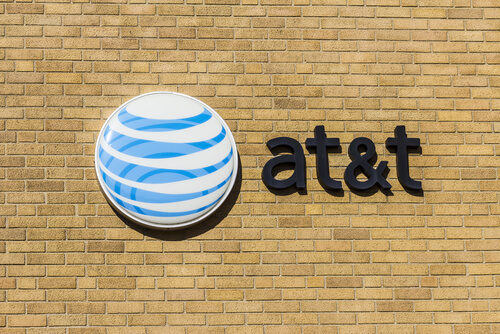 What is the court case between AT&T and the Federal Trade Commission about? The Federal Trade Commission’s attempt to penalize AT&T. For throttling their customers’ mobile internet connections who had signed up unlimited data plans. 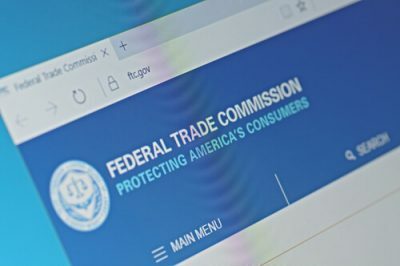 Now, readers should know here that the Federal Trade Commission doesn’t have the legal authority to regulate US common carriers. 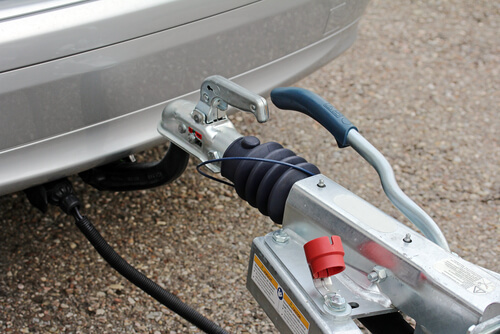 But the Federal Trade Commission has said that it has the authority to regulate non-common carriage components of any company which is otherwise a US common carrier. AT&T, when it throttled its customers’ internet connections, was indeed a common carrier. It was a common carrier for mobile voice service and landline phone services. But it wasn’t a common carrier for mobile internet access. And that fact, might come to save AT&T int he end. AT&T has argued numerous times that the Federal Trade Commission could not regulate any portions of the company’s business because the company’s status as a common carrier prevented the regulatory authority from doing that. In August 2016, a panel of judges sides with AT&T at the United States Court of Appeals for the Ninth Circuit. That August 2016 ruling did leave the Federal Trade Commission without any regulatory and/or enforcement powers over United States broadband businesses such as that of traditional phone companies such as Verizon and AT&T. But that did not cause any regulatory gap. If the FTC loses its regulatory power then that would lead to a regulatory gap. Because the FCC (an independent agency) had actually classified US internet service providers as common carriers back in February of 2015 in an official decision. Hence, the FCC (an independent agency) gave itself a rather broad authority over the workings of broadband services in the country. Some believe that the problem now is different. The problem is the fact that this time around it is the Republicans who lead the Federal Communications Commission. And as mentioned before, the FCC (an independent agency) seems clear. The agency seems clear that it wants to and actually plans to get rid of the common carrier classification of all US broadband internet service providers. the FCC (an independent agency) also says that the Federal Trade Commission will likely pick up the slack. Ajit Pai’s proposal also says that the FCC (an independent agency) eliminating the current common carrier classification could prove beneficial. broadband internet service providers’ practices. In other words, many media sources in the industry say that it’s not really a done deal. The other problem is a May 2017 Ninth Circuit decision. That decision supports Ajit Pai’s argument. As mentioned before, the Ninth Circuit decision successfully vacated AT&T’s victory over the Federal Trade Commission. It also ordered a rehearing on the case en banc. What does the decision to actually rehear the case mean? It means that the court may do the right thing in the end. And what is that right thing? That right thing is to ultimately allow the Federal Trade Commission to regulate broadband internet service providers. That decision would, if it comes to pass, hold even when the companies in question offer other non-common carrier products and/or services. These services include the traditional phone lines. But as indicated earlier, such as decision is far from certain. Because the current full court still has not managed to issue its official decision. In another statement that a consumer advocacy group and the city of New York sent to Pai, it was mentioned the FCC (an independent agency) should delay its vote. Because if the Ninth Circuit does decide to go with the panel’s decision and favor AT&T Mobility, then that would present an enormous danger to consumers. In other words, consumers would stand to lose all of their protections. Hence, consumer advocacy groups want the FCC (an independent agency) to delay their vote. And when should they actually vote? According to these consumer advocacy groups, they should delay the vote until the en banc panel of judges of the Ninth Circuit successfully issued its official decision. But what does Ajit Pai’s proposal say? As mentioned before, Ajit Pai’s proposal is completely anti-net neutrality in nature. Following from that, it makes sense that it would not want the Federal Communications Commission to wait for the Ninth Circuit decision. And that is exactly what Ajit Pai’s proposal says. Pai’s proposal clearly mentions that the Ninth Circuit did actually grant a rehearing en banc. Rehearing en banc of what? And hence it was consistent with the Federal Communications Commission’s request. Moreover, in doing so, the Ninth Circuit set aside the opinion of the earlier panel. Ajit Pai’s proposal also said that in the light of all these considerations and, of course, the real benefits of the reclassification, the Federal Communications Commission find all the objections based on AT&T Mobility vs FTC insufficient. And hence they do not warrant an outcome that is different from the current one. But that’s not the whole problem. The situation is more dangerous than many realize. Because the Federal Communications Commission has also proposed to preempt any and every state consumer protection regulations and laws. And that increases the danger that is presented by the Ninth Circuit if it does strip the Federal Trade Commission of its regulatory authority over broadband internet service providers. This is exactly what the consumer advocacy groups letter mentions to the Federal Communications Commission as well. The letter said that the potential regulatory gap from the Ninth Circuit’s decision is further compounded. 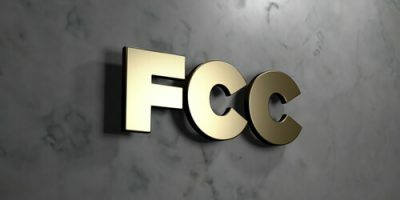 By the FCC’s draft order which would purportedly preempt any state laws and regulations that the Federal Communications Commission deems as incompatible with the recently announced federal deregulatory policies. Now, the letter also mentions the fact that the Draft Order uses a vague language as to what precisely would the Federal Communications Commission preempt. But the context makes it a bit clearer. From the context, one can judge that it includes all sorts of state consumer protection regulations and laws. To summarize, according to the advocacy group’s letter, the Federal Communications Commission has made the decision to put each and every remaining consumer protection laws, or eggs, in just one big basket. Why can’t the Federal Communications Commission just wait? According to the letter, the organization simply doesn’t want to go through the trouble of waiting. Waiting for Ninth Circuit’s affirmation that the approach in questions is actually consistent with the Federal Trade Commission’s own jurisdictional statute. Readers should also know that the Federal Communications Commission’s attempt to preempt any and all state laws is actually a part of its proposal. The FCC proposal does suggest the preemption bit as a part of the organization’s anti-net neutrality proposal. Because of that, the FCC is likely to approve that as well via the same vote which will take place on 14th of December. But the problem isn’t just limited to net neutrality rules. We know the common carrier rules in the US include several other consumer protections. Most of these protections actually go beyond the scope of core net neutrality rules. Many publications have pointed out this fact in previous months as well. And according to Feld, the Federal Communications Commission plan to just go ahead with the December 14 vote shows something important. It shows that FCC’s chairman, Ajit Pai along with other Republican commissioners don’t really care if they protect consumers or not. And we haven’t even talked about how Charter had previously told its investors that net neutrality regulations didn’t really hurt the company. Even though it had previously mentioned that Title II stalled its investment in broadband infrastructure, Charter has recently come out and bragged about its speed boost. In fact, recent reports in the media say that Charter Communications actually wants to tell people about the company’s net broadband internet network investments. “Increasing Flagship Broadband Speeds, Giving Customers More For Less”. As far as the United States of America goes, Charter Communications is the second biggest cable service provider in the country. And the company has increased its customers’ standard download speeds. It has increased them from the regular 60 Mbps to 100Mbps. Charter previously had said that some FCC rules had damaged infrastructure and innovation in the industry. The company has done so at no extra charge to their customers. Moreover, the company has also provided download speeds of around 200 Mbps and 1Gbps in selected markets. Charter Communications announced that its Gigabit service was available in the Oahu Hawaii. The company also said that it would launch its Gigabit service in additional markets in the coming weeks. The obvious question here is that how is that even possible? Charter Communications really has done something amazing here. The FCC’s related classification of internet service providers as common carriers via the Title II regulation. Back in July, we had Charter Communications actually telling the Federal Communications Commission something different. It said that the Federal Communications Commission had implemented vague and broad prohibitions. These rules, Charter said, had caused broadband internet service providers a lot of trouble. And hence they had to reconsider investments and innovations out of a particular concern. A concern that US regulators, potentially, could force significant amendments or squelch their ventures. That could cause broadband internet service providers a lot of problems especially if they have already expended the related funds. Charter Communications also said that the current rules caused uncertainty. And that uncertainty actually undercut the continuous investment from private sources which the internet needed to flourish.